Its Halloween time, kids, youngsters, movie stars and celebrities are syncing into the Halloween mood. People celebrate Halloween on the 31st October every year. It is an affair where celebrations are basically composed of costume parties, playing trick or treat games or by watching horror movies to horrify friends and family, lastly by carving lanterns out of the big orangey fruit Pumpkin. Many a time parties include creating haunted houses and graveyards. Children are often dressed in scary suits and fancy costumes. These children engage themselves by visiting their neighborhood houses. This is done so to collect sweets, gifts, chocolates, snacks etc. 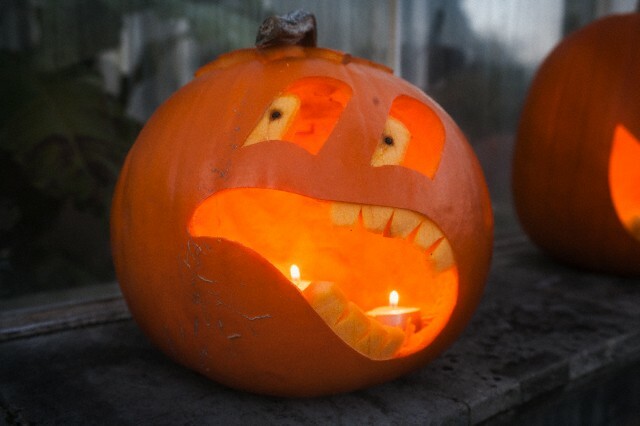 Some enthusiastic people even carve scary faces out of pumpkins and other vegetables to decorate their homes, gardens, sit outs etc to grove with the festival. But how is this festival symbolized generally? There are numerous symbols associated with this fest, such as spooky objects, ghosts and spiritual beings, walking skeletons etc that basically bring about a connection from the spiritual world to the physical world. That is a connection between the living and the dead. So basically instruments and weapons, or props that depict any of the above said symbolize this festival. These may include fire, blood, skeletons, knives, bones, skulls etc. The meaning of Halloween is derived from the words All Hollow’s Eve which is the day before all Christian Saints are honored. Halloween is also known as the All Saints Eve. So, what is the significance of this festival? Why is it celebrated with such pompous and anxiety? It is primarily celebrated to remember the dead who include the saints (hallows), martyrs and all other faithful departed believers. It also revolves around the concept that the physical world wants to humor and ridicule the power of death. Let’s now concentrate on that part which you all have been waiting for! Halloween is not just for kids. It is for every one of us which includes all age groups. You may be an adult going to a job but that doesn’t mean you can’t have all that fun. Celebrating Halloween at your workplace and creating a joyous atmosphere in and around you brings us all together, have fun together, creating cohesion. This festival is a great time to show off your creative side. 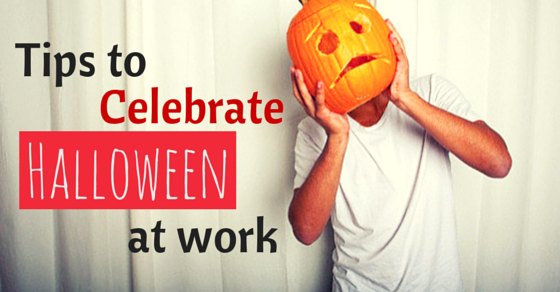 Soon it’s going to be Halloween time and here is what you can do to bring about the excitement in your work space. Believe me! It is a fantastic way to bring your peeps together and take a break from that monotonous work life. The key to any party is the planning phase. Like answering the 5 W’s and the one H. That is, what, when, where, why, who and how? Stuff like, what is the party about? It is all about the ghosts, the haunted, the bloody, the fiery and the scary. When should the party happen? The weekend before the festival or may be after the festival; or if you can get permission to do one on the same day it is, nothing like it. Next, where should the party be? Some place feasible for all to drop in. And why are we having this? Obviously because its celebration time! Who is going to come? Everybody who can come and have fun.. How is this going to materialize? All of you must join hands together and put together a successful, grand party. Consider the following thoughts along which you may organize your party. If you are on a budget role, then have the party at your office, may be at the cafeteria or something that can house many people (if allowed that is). This saves money, time and energy. The hassle of working out another venue is ruled out. If you planned it during the week hours of work, then invite all your colleagues. But if it’s after work hours, consider inviting other significant people. which is the most wanted part, stack the party with loads of snacks, candies, chips, salsas/dips, veggies and fruits. And for the main deal, order some pizzas and as they are always a hit! You could all pool in and volunteer together for the food and organization bit. 5. How about some groovy music? Someone could officially be the DJ that night. Get that person to stack his playlist with all the spooky hits of the century. Right from the 80’s to the 100’s. For example, the song called ‘Thriller’ by Michael Jackson is always a hit! Sync your office atmosphere to that of the Halloween. Hang in decorations and flyers, streamers, place carved pumpkins, fall flowers on table etc. Decorate your cubicle in a spooky fashion and add a touch of scare so as to grove with the atmosphere. Have props and related items like a candy bowl, tombstone, graveyard pictures, bones hanging around, cobwebs, plastic spiders, pumpkin carvings or maybe even a stuffed devil face. Once that is done, have the organizing committee to also conduct the best decorated cubicle game. So all that effort you have put in to make it a spooky place would not definitely go in vain. Have Halloween themed gifts to the best deserved person. The celebration is never complete without colleagues and peeps dressing up the way they are supposed to. 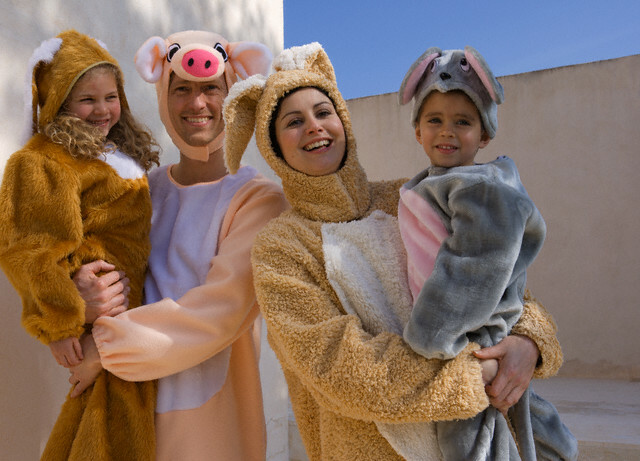 Costumes and dresses that reflect the occasion is one of the best ways to celebrate this festival pompously. Also organize a costume contest where you have your friends and family vote for the scariest or the most funnily dressed person. Now that you have got your employees to dress up in the festive way, how about you have a parade? Let all the participants participate in a parade that you could conduct in your office in the evening. It would be a nice thing to groove to the spooky music. And an opportunity to explore hidden talent. Incase your party happens to be in the morning, you must consider the following for the breakfast plate. Cider and doughnuts are such a hit when it comes to relishing on the best delicacies. Don’t forget these although, pumpkin and apple breads, pumpkin pie, pumpkin coffee cake, or pumpkin and apple muffins. Make this event a memorable one by asking your mates to take part in the potluck fiesta. Make sure each one of your friend brings in one something, that way there is loads of varieties on the table to munch from. 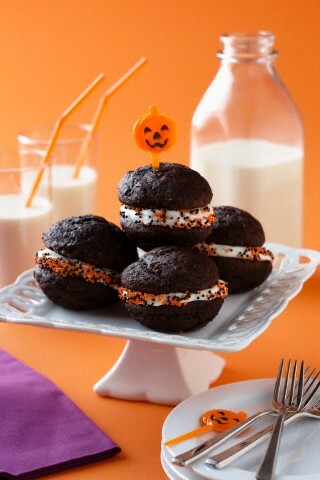 We could make the Halloween luncheon as seasonal as breakfast. Use all those ingredients laid above to make it as interesting as your breakfast could be. Otherwise, you can order different kinds of pizzas, yummy cheesy sandwich wraps or any other luncheon menu. Most and many restaurants will always deliver for a large crowd. Most part of the list of things to do is always with respect to the food. So once that has been settled, you could assume that most chores have been performed. While the only things that would require your attention on would be the gifts, theme decorations and the games. Now let us talk about the different games that could be organized by you at your work station. You could all pool in together the thought of organizing community events, activities and assist them with all their needs. It is energizing when people at the community and welfare centre receive joys and treats from corporate employees. It is not often that they get to partake in such memorable events. This also becomes a part of the team building activity. You could also run clothing and food collection drives for local churches, charities and food banks. The most famous of them all! Have your employees participate in this game, where they get their own pumpkin and start carving them out in the best way possible to win the game. Also make sure that this game happens somewhere in the evening, so that family and kids could get a chance to be a part of the audience. The next big game on the floor is trick or treating. Don’t just think that it’s only for kids. You could encourage all your peeps and co-workers to take part in this fun game. They could go from one cubicle to another or from one department to another trick or treating. I think providing each employee with a trick or treat bag would be truck loads of fun. Having said the above, I just remembered something. What I am going to say could be a form of employee team building and staff motivation process and mind you, this is now a hit at all work stations. Why not we involve children with special needs to trick or treat too? This could be an engaging, interactive session and a special day for the challenged kids. You should stack up some jars with candies. And have the candies pre counted in them. Now, ask your participants to count the number of candies in hundred seconds or so and declare a winner! If you can afford to have a set up that would allow your employees to cook at the cafeteria then host this show. You could have a competition where the employees have all their ingredients with them and they cook on spot to win a grand price. Games like bobbing for apples, pin the tail on the donkey, puzzles, riddles, singing and dancing can all be a part of the fiesta. Now, remember you could also have a karaoke at your party. And the last thing I can remember for a contest would be the photography contest. ‘The Spooky Photo of the Day’. If the office you are working in, does give you a holiday then what better fun? Organize a day outing from the office where you can take your family along with you. Jam up at a resort or a hotel that has a party hall within it. Inform the management that you want that venue decorated with relevant art all over the place. The kids could enjoy in and around the pool area whilst the elders can hang around at the play area. Make sure all the strategic locations are decorated wisely. Have all those games and adventure activities at the resort. Play hide and seek. You could also play ‘blind fold’ in a secure area. Play spooky songs in the background and enjoy your day. Having said all of the above, how many of you would earnestly make an effort to bring out the above charisma into the festival? Remember the following rules which are the most important ones when you wish to celebrate Halloween. Make sure you find out the whereabouts of this festival well in advance when you are a new person in town. You may not want to be the only one to dress up like Maleficent or the Dracula. If you have not had the opportunity to observe the previous year’s fest, then make sure to find out well in advance about the do’s and don’ts. Don’t wear a costume which depicts that you are trying to be a racist. Make sure your costume appeals to one and all. And that it is not offensive to any group or sector. Don’t wear anything that makes it impossible to communicate with the client or customers. Wear something that helps you carry out your daily activity smoothly. Answer this question before you wear what you want to wear. Can I get into a last minute meeting with my clients wearing this dress? The minute you have the answer, you know what to wear. People who don’t wear clothes that are in sync with the theme may have a reason for not having worn the same. So don’t hassle them up with your costume and bring about a sour relationship with each other. Let everybody enjoy in their own space. This always helps you enjoy the fest in many ways. It is festival time and everyone deserves a break. I hope this article has told you enough about how you could spend your Halloween. Please do give in your reviews and feedback on the same. If some of us have more ideas and newer ones to share here, go ahead and share your thoughts with us. Here is wishing all of you a grand Halloween! Previous articleWhat is Human Resource Management – Why is it Important?